Available to all our travellers! Have a look around the Book Swap and choose a book you would like to read. You are welcome to read it here or take it with you on your journey. If you are carrying an extra book on your travels that you no longer need, leave it behind for someone else to discover. It is hoped that these pre-loved books travel far and wide. 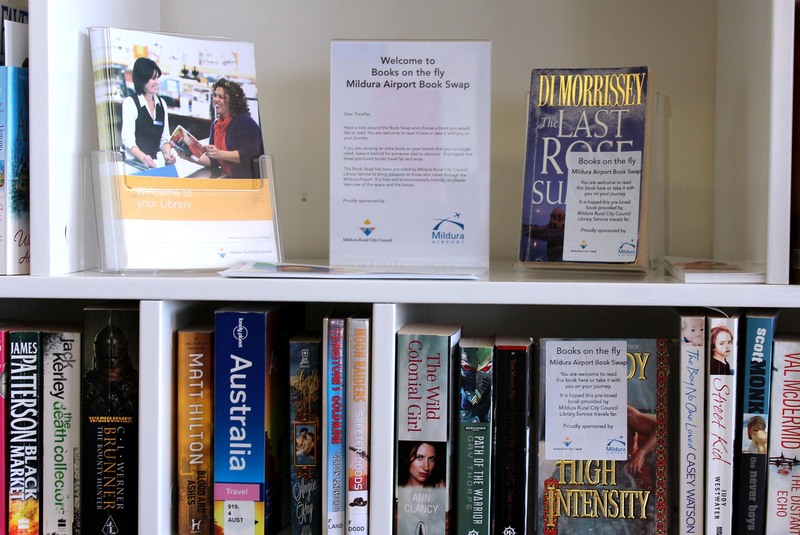 The book swap has been set up to bring pleasure to those who travel through the Mildura Airport. It is free and environmentally friendly, so please take care of the space and the books.